Please note that the information in this post only relates to wireless cameras produced from December 2012 to February 2013. Early in February 2013 I received news from Acorn that they were having problems with the production of their wireless cameras. 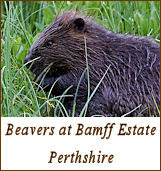 I've delayed posting about this until now because I wasn't sure of enough detail to make an informed comment. It was obvious that something wasn't right because of recent problems with display and connectivity with the 6210MG which started last December. I've now got more information from Acorn and basically the situation is as follows. 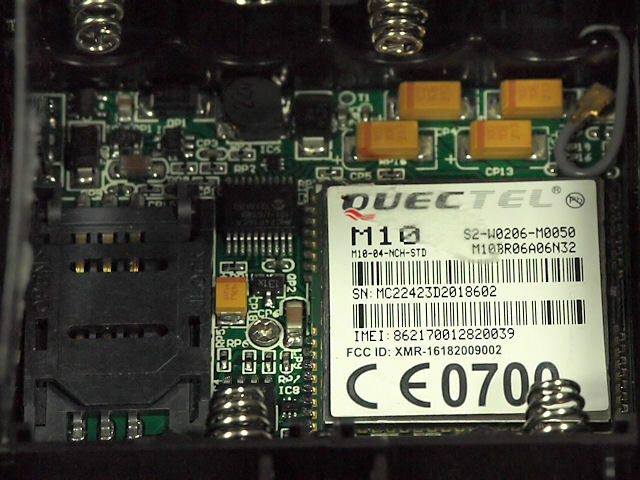 I'm informed that the manufacturers of the original M10 GSM/GPRS Wireless Module (produced by a Shanghai local company) discontinued the product and forced Acorn to look for an alternative. PCB in Figure 1. Cameras using the new module were released at the end of last year but it quickly became apparent that there were problems with the programming. The control panel display on the 6210 was not showing the connection icon or carrier information. The quick release of firmware V1.2.003T brought back the 6210 display although it was still not showing the proper connection sequence. It was however connecting to the network and from my point of view, its saving grace was the fact that it seemed to work well with SMTP over the Vodafone network. The latest 6210 firmware is V1.2.101T which I have now had chance to test and with 6210 camera serial number 202002230 I have had good results with SMTP over Vodafone; and the control panel display is working correctly. All 5210 and 6210 series 2 wireless cameras produced from December 2012 to February 2013 have this and/or other problems. The 6210 will work with SMTP and by upgrading to firmware version V1.2.101T they will show a correct screen display. Please note that I do not have a 5210MG Series 2 camera fitted with the new SIM900 module and PCB to test at the moment. There are issues with the 5210MG but I can't verify them without a test camera. I'm told that the new GPRS Module will send MMS through O2 and E-Plus which I have not had chance to test yet; but so far it will not send MMS with Vodafone in UK or Ireland. This will obviously be rectified with the release of new cameras. Download V3.06M Only use for 5210MM/G wireless cameras. Do not use with the 5210A. This is the latest firmware I have for the 5210MM/G. Download V1.2.101T Only use with current Series 2 6210MG cameras. This is the latest firmware I have for the 6210MG. I've also had similarly good results using V1.2.003T in an older 6210MM camera with serial number 109003623 which also showed a correct screen display using this firmware. Download V1.2.003T HD LCD Only use with Series 1 6210MM/G Old Screen. Download V1.2.003T Normal LCD Only use with Series 1 6210MM/G New Screen. If you load the wrong version onto your camera it will scramble the screen display. Load the alternative version to correct. Please note that my tests are only with a small sample of cameras and results may vary from camera to camera. I cannot guarantee that my above findings will exactly apply to your camera. 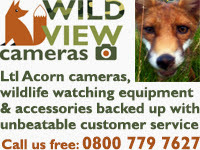 Acorn have informed me that they have suspending production of their wireless cameras for about two months to allow them to re-design the wireless PCB which supports the GPRS module. Acorn are also installing a completely new SMT (surface mount technology) production line to support the new GPRS Module and PCB; which will further upgrade the manufacturing of their wireless cameras. 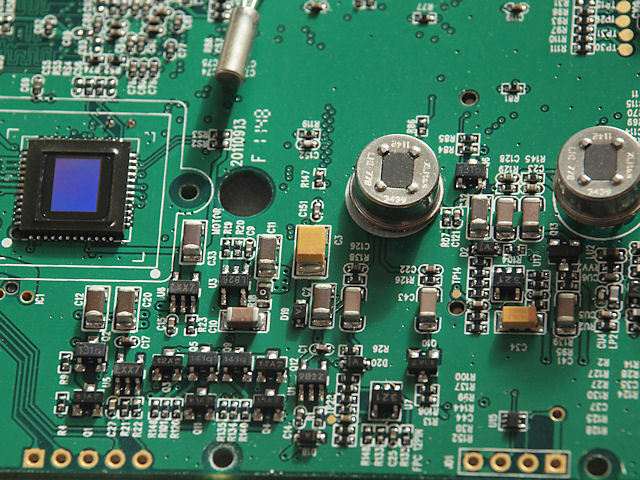 Acorn GPRS cameras will support SSL after development of the new PCB. The Ltl-6210 LCD has been updated to correct the black LCD display problem. Ltl-5210A image quality has been updated. When new information is available I will be posting updates. Hi Ron, if I understand this correct, only camera with the SIM900 will have problem with MMS. Or will also camera with M10 have issues sending MMS. I have 2 acorn 5210m cameras that is not sending MMS over Telenor network. If I do factory default and reload both config files it will work sending MMS for a day or two. Then it will stop sending MMS. It works well with SMTP. Will it help if I upgrade to new firmware or will I have to wait for the new wireless module? Hi. 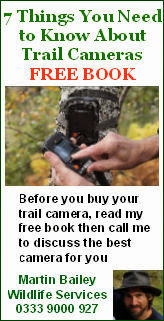 To be able to answer I need to know the serial numbers of your cameras. I'm not aware of issues with the M10 boards regarding MMS. Whatever the reason is for your problems, it wont be the same as the current problem with the new SIM900 boards. It may well be a programming issue and you could try reloading the firmware V3.06M which is now available from my downloads page. I have to admit I don't do much testing of MMS which I don't use personally. My focus is on SMTP which I find more reliable. If the firmware update doesn't solve your issue, you have ruled out any possible issues with Telenor and SMTP isn't a workable alternative for you, you may have to think about returning the cameras to your supplier under warranty. Hi Ron, i also use ltl acorn 6210m camera for a while and i have problems in sending borh e-mail and mms over avea in Turkey. Eventhough I had tested camera in different spots where signal strength was pretty good but i couldn't get any email. Then extracted sim card and put into my phone and get email properly. Do you have any idea about my email problem? Thanks. Your camera may not be able to send via MMS although it should be perfectly capable of sending email via SMTP. 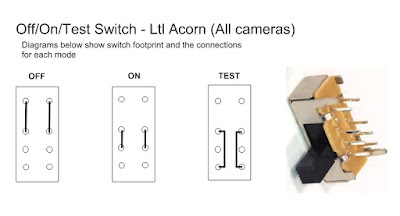 Read 'SMTP Set-up Instructions for Ltl Acorn Remote Wireless Cameras' which was published on the 24th January 2013. I also have an upgrade file available for the new GPRS module which may enable MMS and I will be making this available hopefully this weekend. Hi Ron. Thanks for your help. in accordance to your advice, I upgraded the firmware and reload "V1.2.101T". Then I reprogrammed both configuration files. Firstly I got some e-mail but after 1 hour it stopped sending e-mail. My opionion about 6210m camera is it is very unstable in sending email. Do you have any other suggestion about my problem? I got another question too. I have read your comments about the new gprs wireless module problem(sim 900). I disassambled my device and I realised my 6210 camera has the same sim 900 module(Figure 1). So, could this new gprs module be the reason of the problem? Your problems will almost certainly be connected with this issue. I just bought a 5210MM and tried to use it in North-East part of france. After reading your comprehensive and very impressive website, i understand that my camera may have a triggering issue due to this SIM 900 module. The camera still send one pict every minute after a first trigger even after your Download V3.06M + upgrade. I am not sure if it will be fixable. It might even start working correctly again on its own. I will be making a firmware update file available to download in the next day or so which may help but I cannot guarantee it. You could also try reloading the v3.06M firmware. Probably your only other option will be to return it to your supplier.